I understand the reasons why the rectangle is the dominant architecture of graphic design and UX. I work in data visualisation and analysis of network complexities - and often in that context circles are the reference geometry of choice - for good cognitive reasons. Right now when I need to base designs on circles I have to fire up Inkscape - which has a customisable polar coordinate grid plugin, and some very nifty arc, were and chord, modes on its circle line and shape tools that make graphical representations of number, proportion, kind and relationships quite fast (hours of very manual work and hideously hard adjustments and refinements) in most design tools that only think in rectangles. It would be fantastic to see Affinity designer provide tools that support layout geometries other than those base on rectangular (even isometrically so) geometry. - Definable polar grids (values and groupings for angle and magnitude) linear and logarithmic - movable origin. - Arc, segment and wedge tools for line and circle which positionable origin for freehand and parameter rotations. - Circular scale from selectable origins. - Special curves for point to point anchors inside and outside regular arcs - with numeric or slider adjustments of 'elasticity'. - distribution of selected line nodes along an arc (by degrees as an option).. 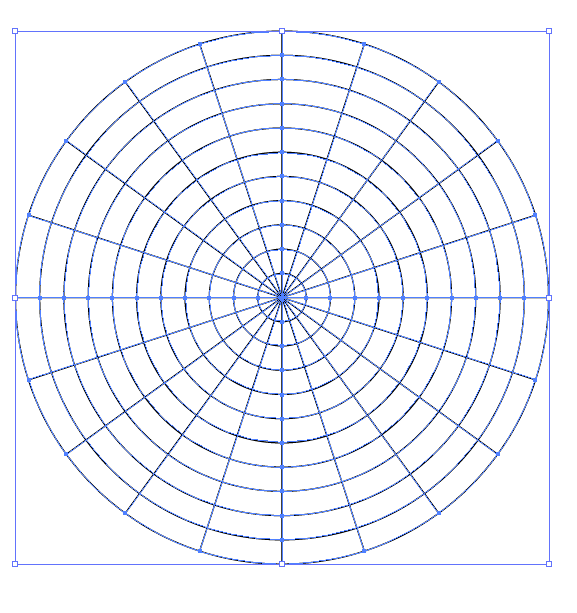 I am also interested in a Polar Grid Tool implementation.